fine water: Nice job fellas. The story is that some monks back in the day (the day being some time in the 1300's) selectively bred common carp to produce a large beefy fish with few scales . In other words - a mirror carp. I think we can all agree these men were visionaries. On a related note June is apparently mirror carp month, judging from this and this. And this. Love me some mirror carp! I hope to catch one tomorrow. Nice fish Ty, glad to see that. Actually, I hope to catch a fish period to be more accurate. I like the idea of June being mirror carp month...that's a holiday I can get behind. Guess I'll have to get out and try to do my part in partaking in the celebration! I noticed you have a thing for mirror carp, John. But then, heck, I guess we all do. Right on Gregg. Looking forward to your report. Lemme know how you do. Thanks Bill. I actually have some Egg-sucking Leech flies. Might have to get them a try. And man, you keep spelling carp wrong! Gotta work on that. Hmmmm, High Plains, we may be on to something here. 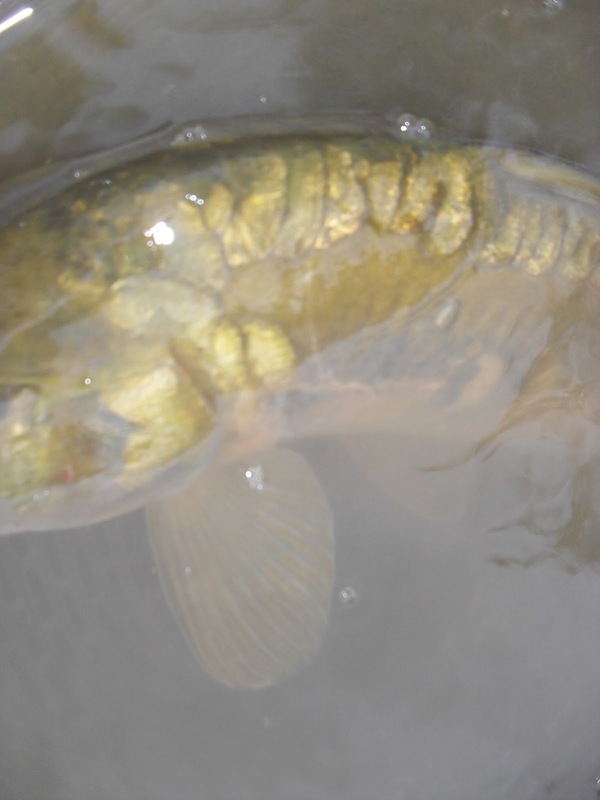 A holiday for mirror carp. I like it. Wow, that dude has a funky pattern. Those two lonely scales on the side are cool. And what is up with all the mirrors lately? Yeah, he was a pretty cool fish. Wish I had a decent camera. Those photos don't do much for him. No disrespect to the carp--sorry about that. Ha ha, no worries Bill! I know you're just kidding around with us Carpheads. All in good fun, my man!